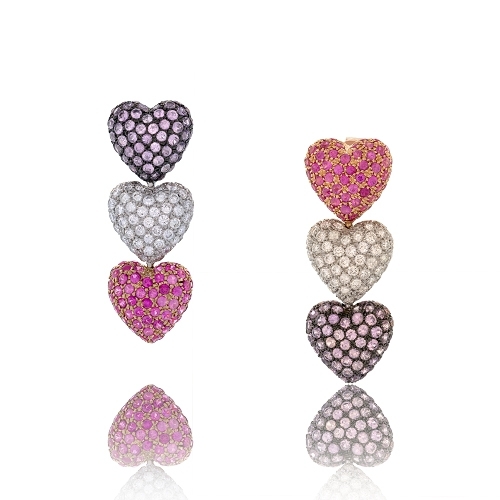 Triple the love in this beautiful pink & purple sapphire & diamond dangle earrings set in 18k rose & white gold. Diamonds approx.1.49ct. Earrings 1.2"